Let’s be honest. Eating paleo or raw is easy—it’s good for you, it’s healthy, it’s fresh (mostly organic) food with little or no gluten, colouring, flavouring, processing, or added sugar. So far, so good—right? But, when it comes to cooking paleo it’s a whole different, and somewhat daunting, ball game. It’s a bit like living before the kitchen was invented as you make almost everything from scratch. And when it comes to desserts—no sugar, easy-peasy cheat flavours, no packets, and no chocolate(!) OMG! What kind of dessert is that! 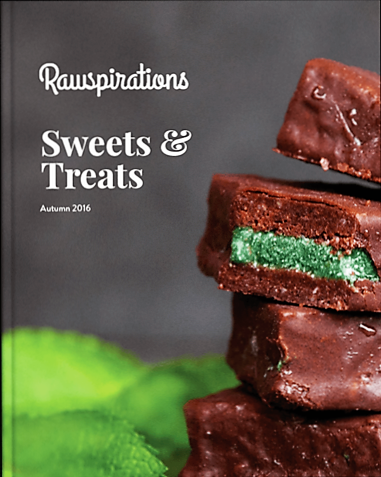 Fast getting over grinding our own corn and doing a million-and-one things with a coconut, we were pretty excited when we got a copy of Rawspirations brand-new Sweets & Treats e-book. With over 50 amazing vegan, gluten-free, dairy-free, and refined sugar recipes to tempt your taste buds, this little book includes both raw and baked treats, smoothies, cakes and slices, and big and little bites, and we taste tested more than a few at The Divine Rawspirations High Tea Event earlier this year and they passed with flying colours! Many of the recipes in the e-book have a fairly long list of ingredients, so make sure you have everything before you start, and some ingredients such as cacao butter or white chocolate butter, hemp protein powder, and coconut nectar, you’ll need to source from a health food shop. However, once you’ve got all you need, the ‘what you do’ bit is fairly straightforward. Caramel and Coconut Balls—super, super easy! 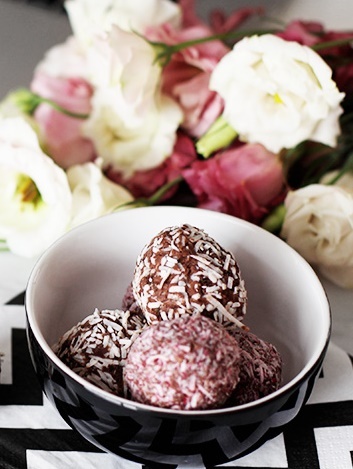 Basically you just blend everything in a food processor, shape into balls, and roll in the coconut. This is a great one for beginners. 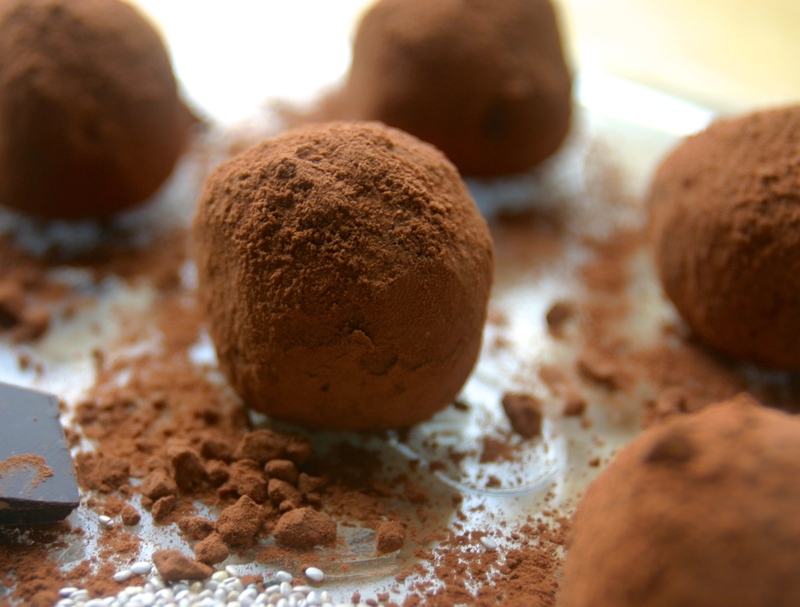 Raw Chocolate Chia and Hemp Truffles—another super easy one! Only seven ingredients, toss in the food processor, roll into balls, and freeze! Another good one to start with. 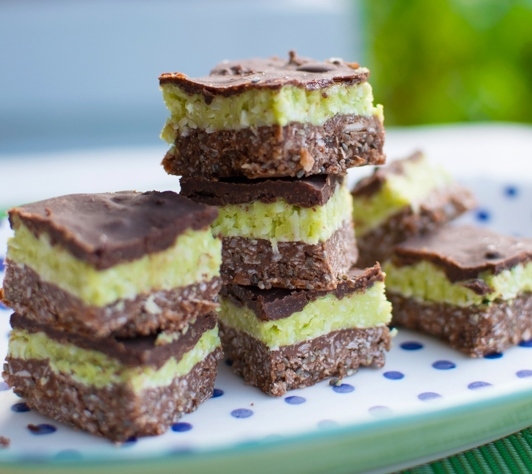 Raw Vegan Triple Choc Mint Slice—this one is a bit tricker and with four different layers you need to give yourself plenty of time, and we found it easier to soak the cashews from early morning, make the slice in the afternoon and leave overnight in the freezer before you add the choc icing. Tricky and time consuming but well worth it; especially if you want impress with your raw vegan cooking skills! Then we side-stepped … sort of … this one isn’t from the cookbook but it’s pretty damn good! 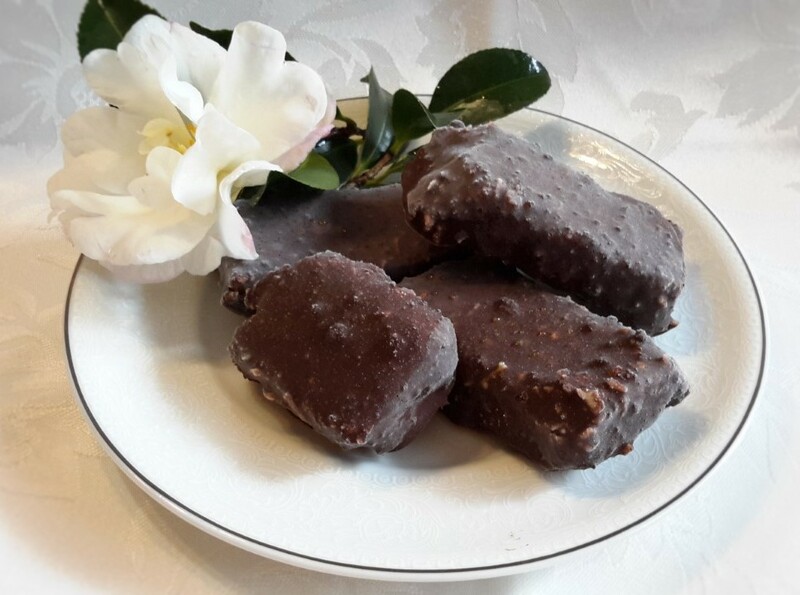 Raw Coconut Bounty Bars—totally awesome! This recipe is available from Rawspirations Facebook page. The Sweet & Treats e-book is available from Rawspirations website for only $15. The recipes are in simple steps and easy to follow, and accompanied by the most gorgeous mouth-watering pics. So watch this space for more road and taste testing … might have to give the Chocolate Mudslide Thickshake a go next! This entry was posted in LFW Fit and Healthy and tagged Dairy-free treats, Double Shot Cafe Canberra, Gluten-free treats, Paleo treats, Raw Sweet and Treats, Rawspirations on July 21, 2016 by gracienumber1.